One of the best things about DIY smart home automation is that you’re never stuck with just one brand of devices. With so many compatible options, you can choose the brand and style of smart device that works for your home. Of course, finding the ideal device is the tricky part. Since door sensors are one of the top choices for smart homes, we’re going to talk about the best options available on the market today. We’ve tested multiple smart door sensors and developed our Dome product to be superior in every way possible. 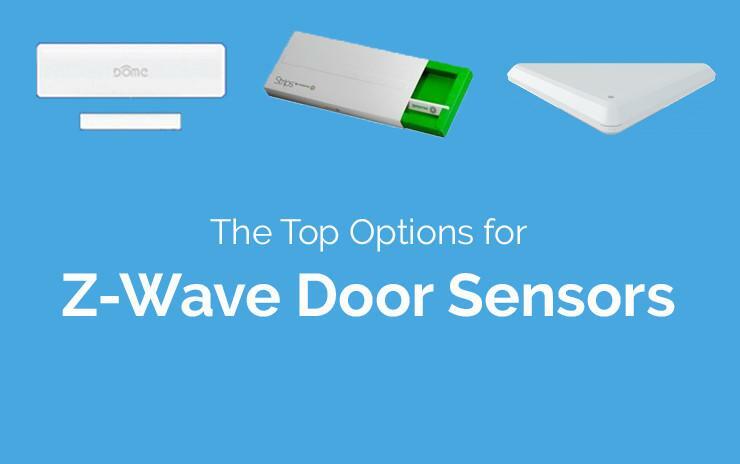 In addition to what you’ll see on other sensors, these devices have been designed with other practical features not normally seen in Z-Wave door sensors. Battery Life: Are you ready for this? The Dome Door Sensor Pro has a 10-year battery life. You won’t have to worry about swapping out batteries every six months or even every six years! Similar door sensors have a standard battery life of two years. Versatile: With Dome's built-in temperature sensor, two-color format, and powerful magnet, you’re not limited to just standard uses. The sensor comes with the smallest magnet on the market, which you can place as far as an inch and a quarter away from what you want monitored, so you have a lot more flexibility in where you install it. It easily attaches to windows, cabinets, garage doors, and more. The sensor comes in white or brown to match different door colors. Double the Standard Z-Wave Range: Something that many homeowners don’t think about when purchasing door sensors is how far the sensor is from the hub. You shouldn't have to worry about relocating your hub to be closer to the sensor—it has more than 200 feet to the range, which is more than double the standard Z-Wave requirement. Low Price: At $24.99, the Dome door sensor's pricing can't be beat. You get the best quality without having to spend a fortune on your smart home system. Security: The sensor's encrypted Z-Wave communication ensures your home will be kept safe from hacking attempts, and the sensor has a built-in tamper switch that constantly monitors to see if someone tries to remove it from the door. If we haven’t convinced you about how awesome Dome’s door sensors are, then you might want to check out one of these other devices. Sensative Strip Sensor: This door sensor takes a very different approach from other designs; it's a thin, weatherproof strip that you stick to the door or window frame. You won't be able to use these sensors for as many versatile applications, like attaching to garage doors, but they do have an excellent battery life. The $59.95 price tag will likely deter most homeowners from adding these throughout the house, but the invisible design is great! Aeotec Sensor: Aeotec’s newest door and window sensor is incredibly slim, and you can paint it any color you want, so you can be sure it will blend in with the door frame. However, that slim design comes at the cost of battery life—you’ll have to change batteries every year on windows and every 10 months on doors. There are two different models of Dome door and window sensors to choose from, so you can pick out the ones that are a good fit for your smart home. To learn more about these devices and our other Z-Wave products, contact us today!